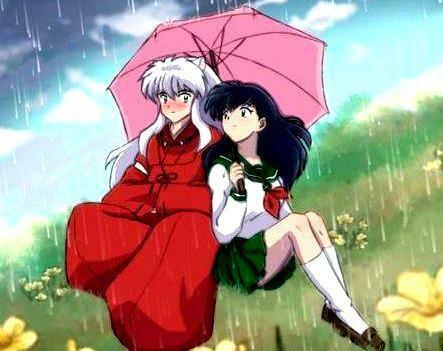 Kagome X InuYasha 4ever. . Wallpaper and background images in the 犬夜叉 club. This 犬夜叉 photo contains アニメ, 漫画, マンガ, and コミック. There might also be パラソル, サンシェード, 日傘, and ゴルフ傘. that is so sweet of kagome. Inuyasha and kagome Kiss in one! That is my fav one!